Rick has a passion to spray things. 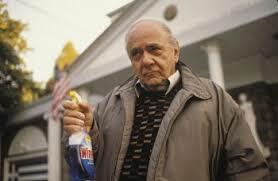 It reminds me of the father in a big fat greek wedding and his affection for windex. Rick has a blue can, a green can and several assorted cans. All things can either have their life affected, extended or blessed by a coat or two of spray. His eyes twinkle whenever he has a can of spray (or Heineken) in his hands. Some sprays have a smell he likes some a nice colour. Yesterday we had to spray the wind generator. It was advertised to be a white grease but it was anything but white and before long it was everywhere on me. On my next trip I’m going to look for Mount Gay Rum in a spray can. The perfect Christmas gift…or is it holiday gift. Have you folks in Ontario figured out what it is yet? Prev Rick is planning the parade!